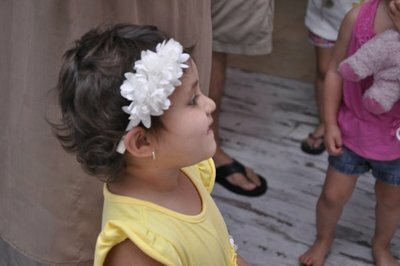 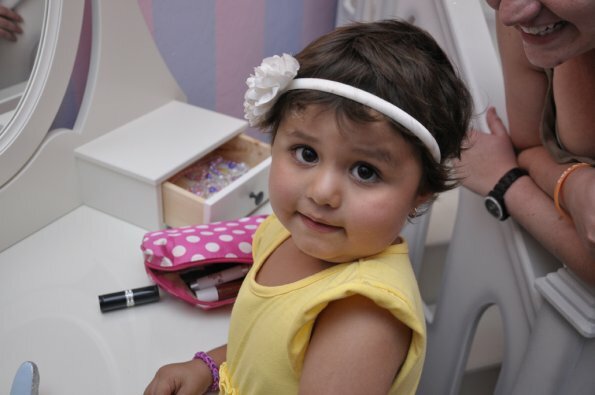 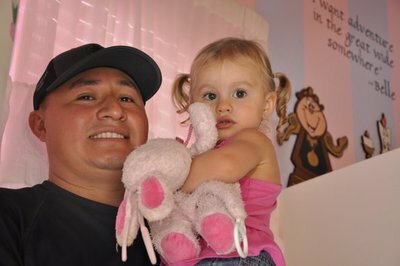 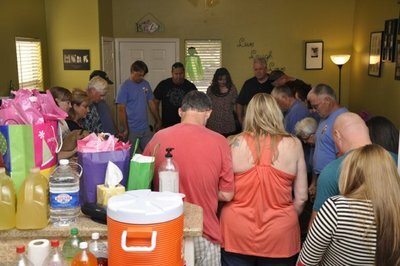 ​Four year old Bella is battling ALL, a form of leukemia. 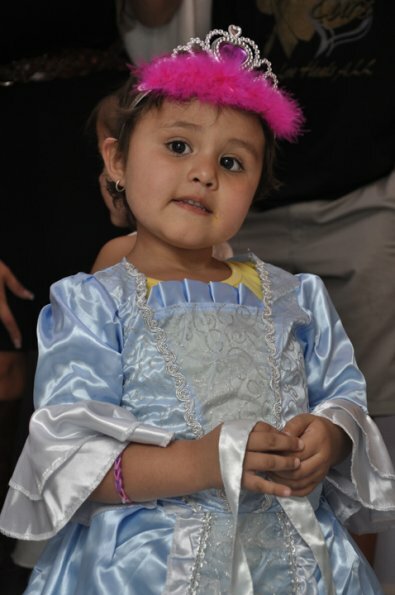 Despite her physical challenges, she is a happy, energetic little girl! 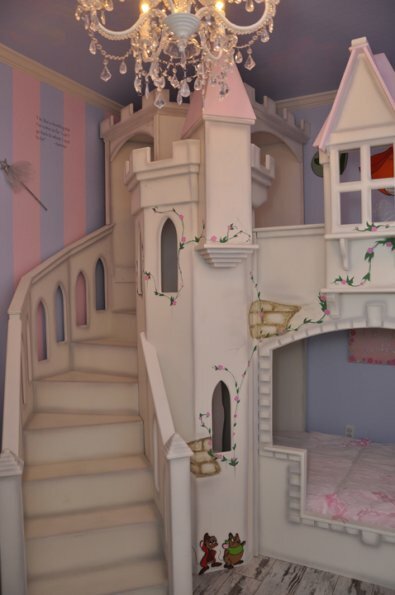 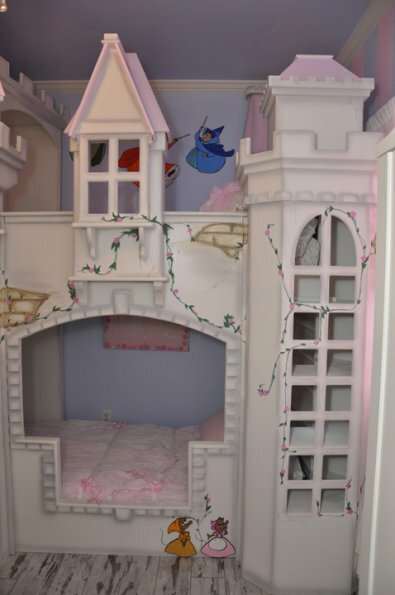 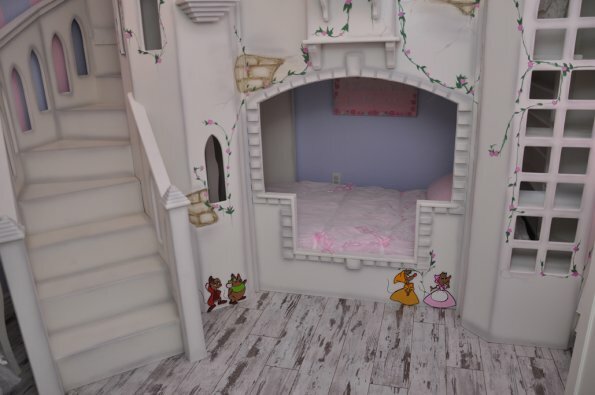 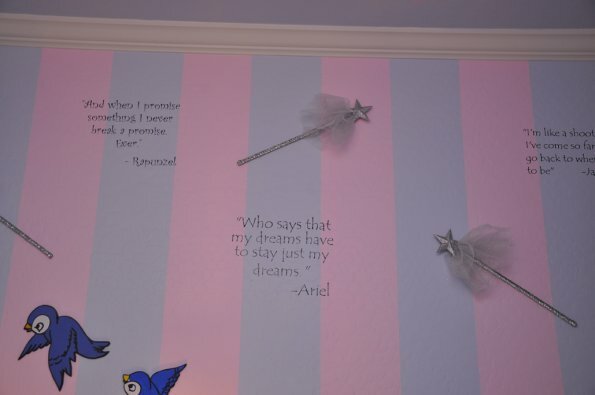 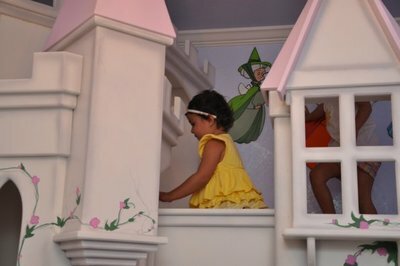 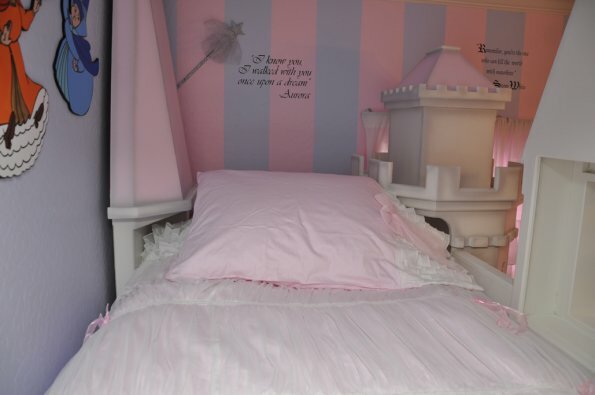 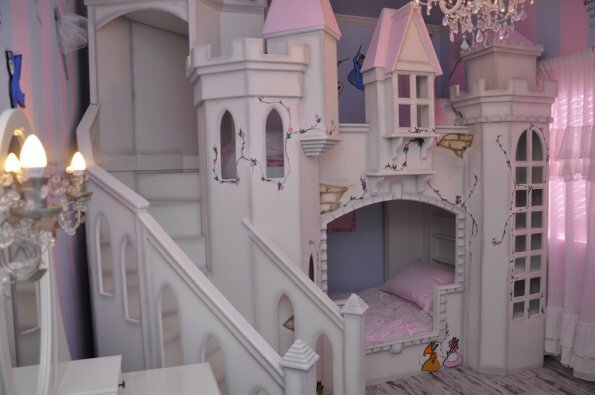 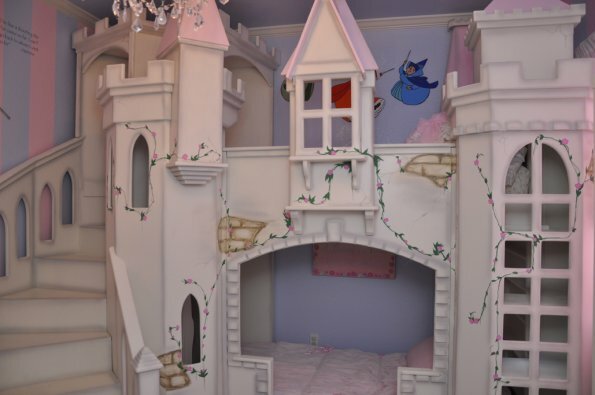 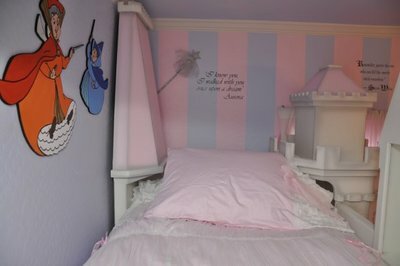 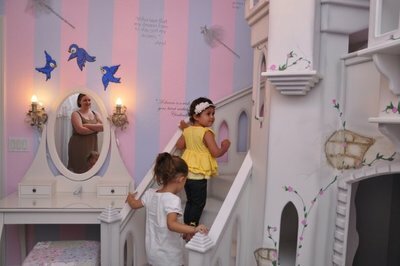 She loves all of the Disney princesses and asked to have a CASTLE BED in her room. 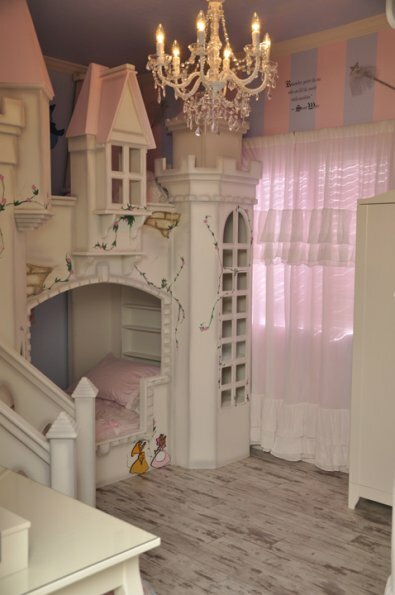 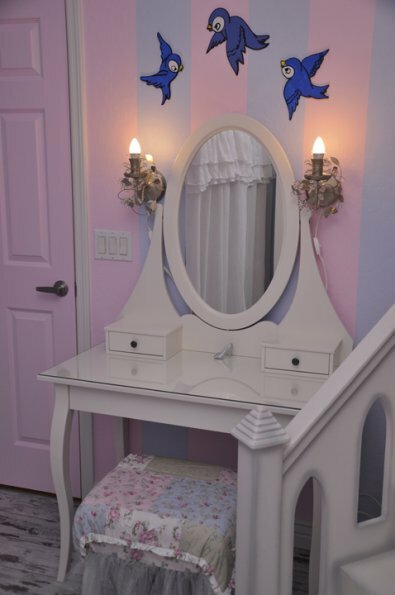 Since she shares the room with her younger sister, Greg and Dwight, our carpenter team constructed and amazing, beautiful castle bunk bed! 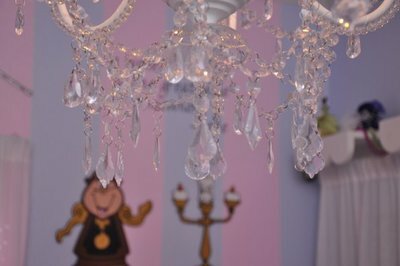 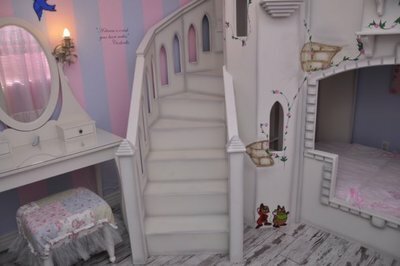 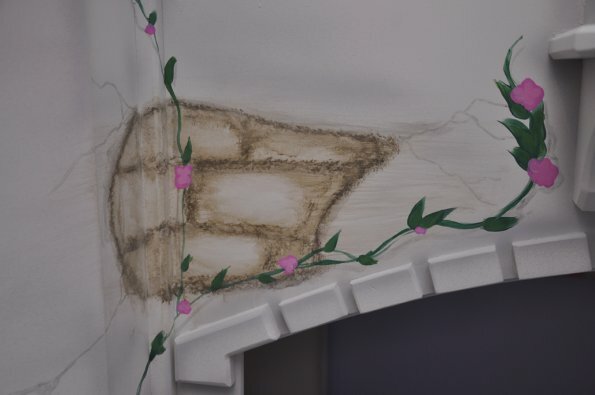 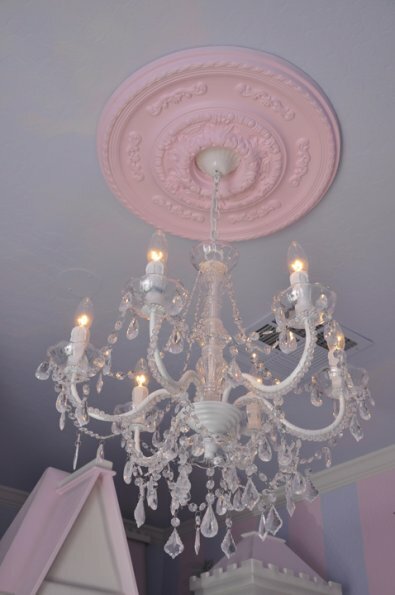 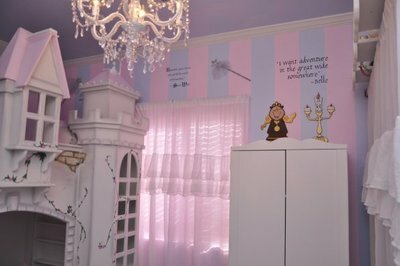 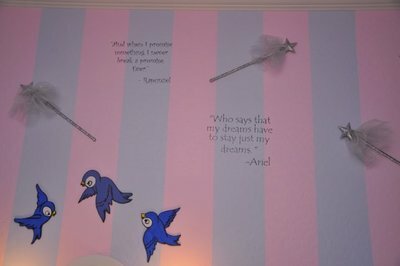 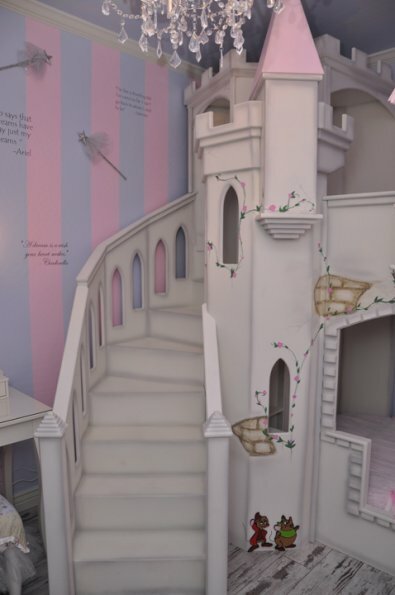 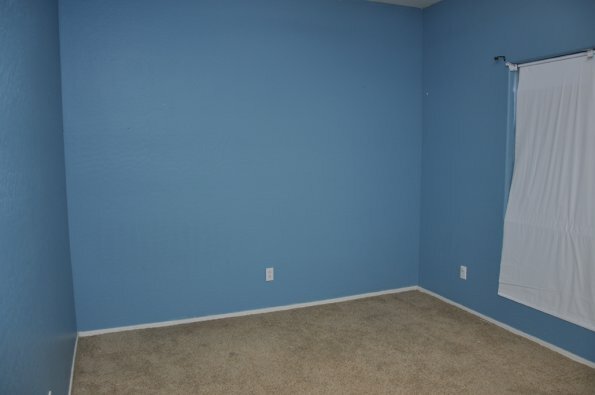 Roger and Jesse teamed up to add artistic paint embellishments to the castle as well as the ceiling. 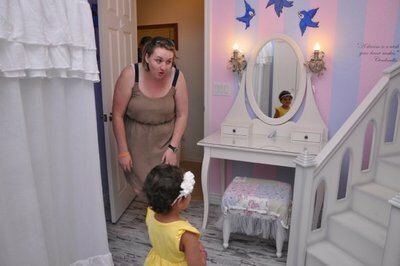 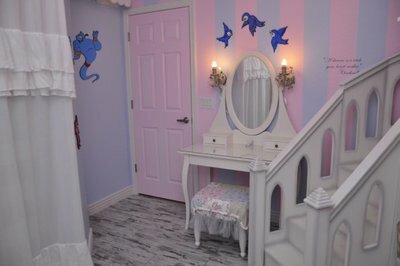 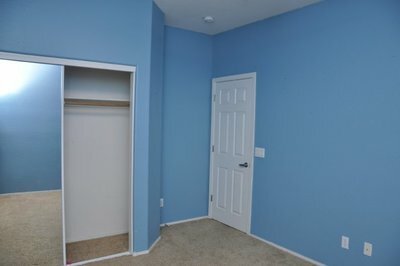 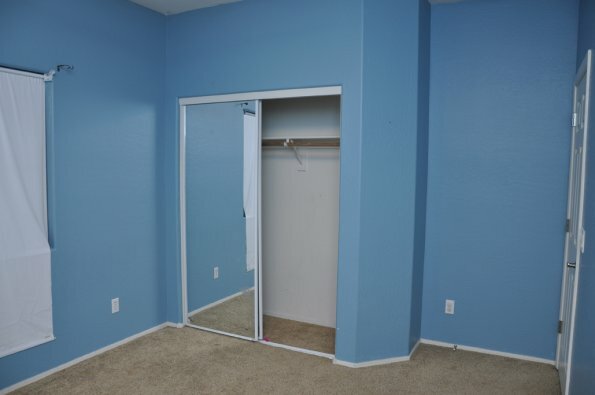 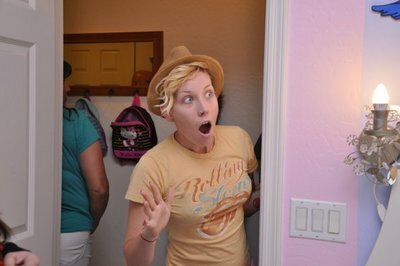 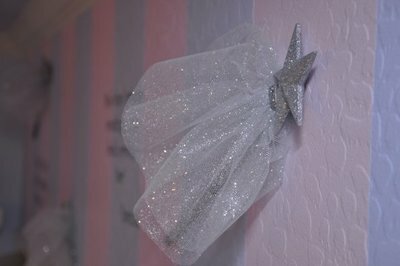 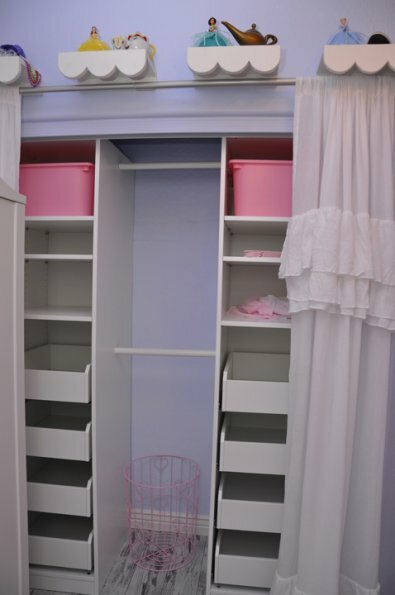 We painted some of the walls with glitter, filled a wardrobe with dress up costumes and stocked her vanity with pretend makeup. 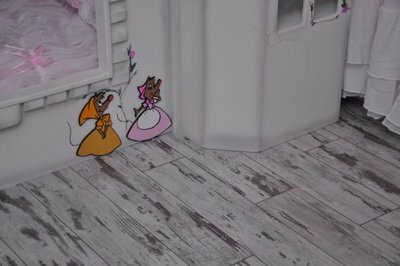 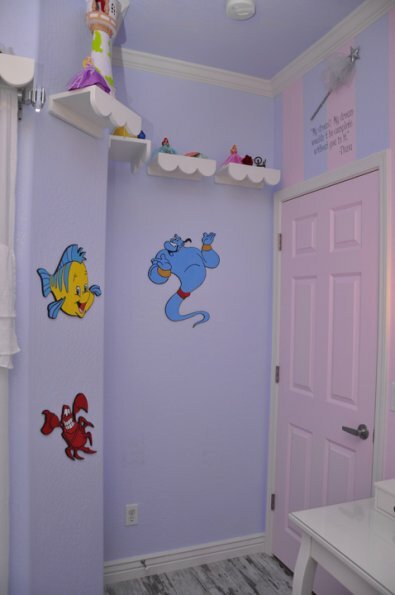 Ray, one of our artists, created 3-D cutouts of some of the Disney characters to bring some added fun to the room. 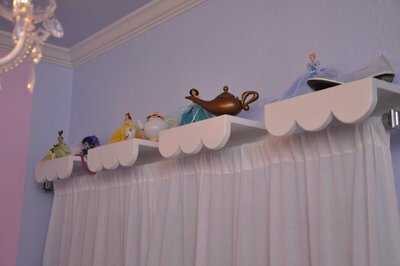 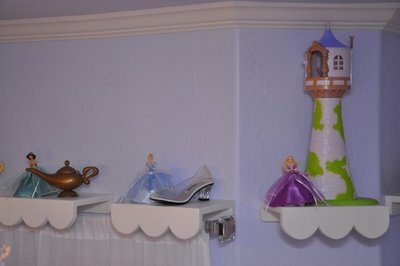 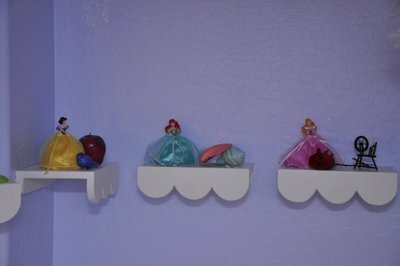 Mike built shelves to showcase each of the eight Disney princesses. 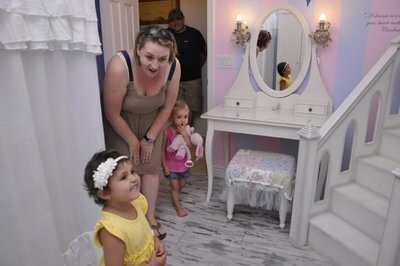 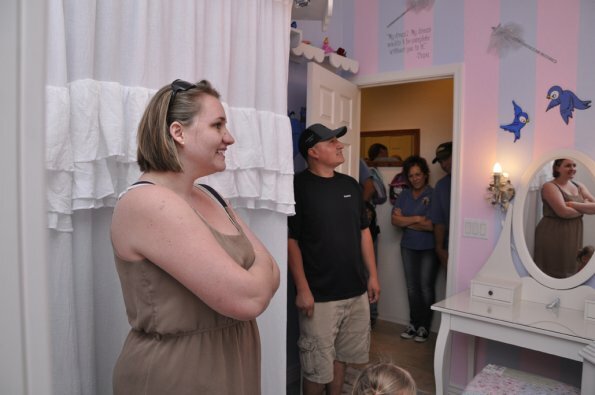 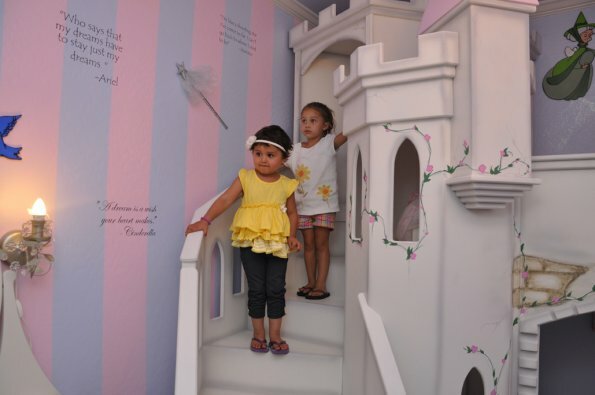 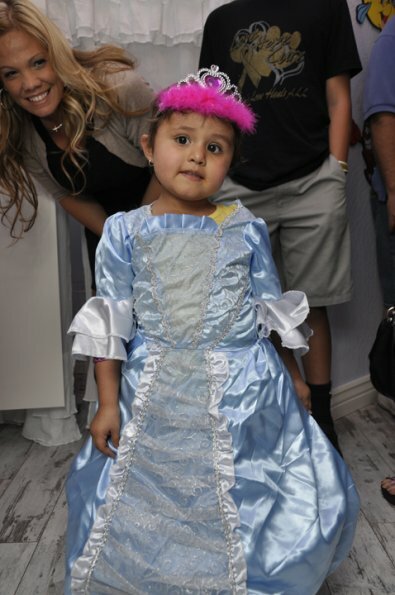 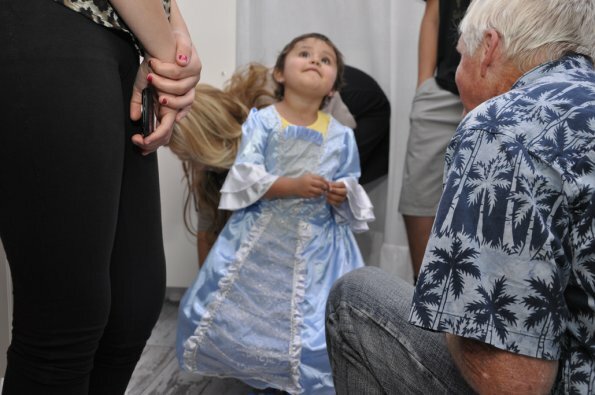 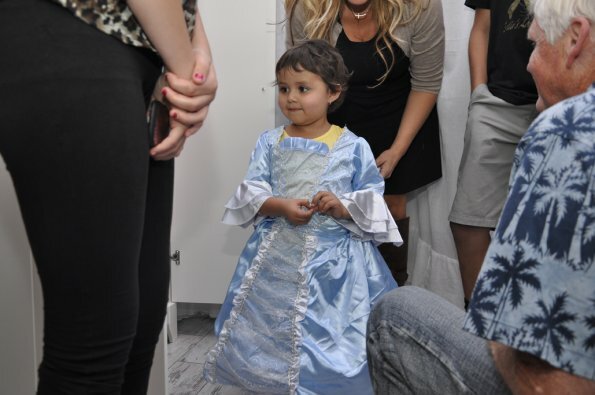 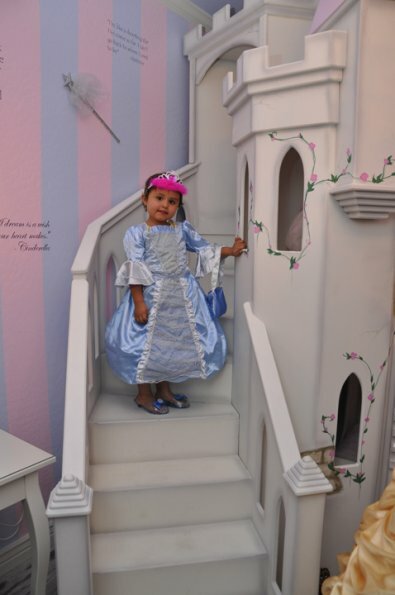 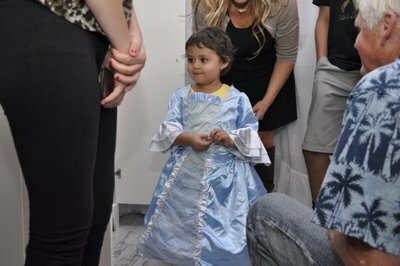 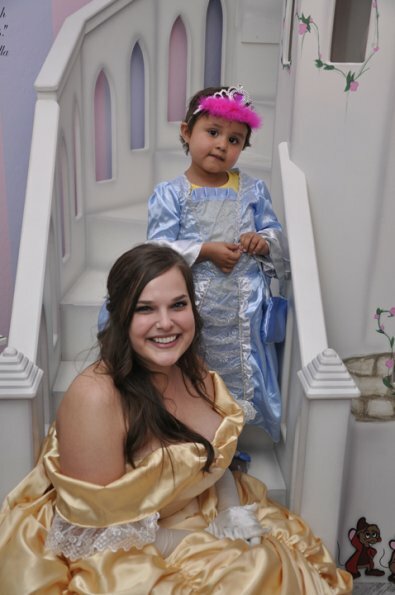 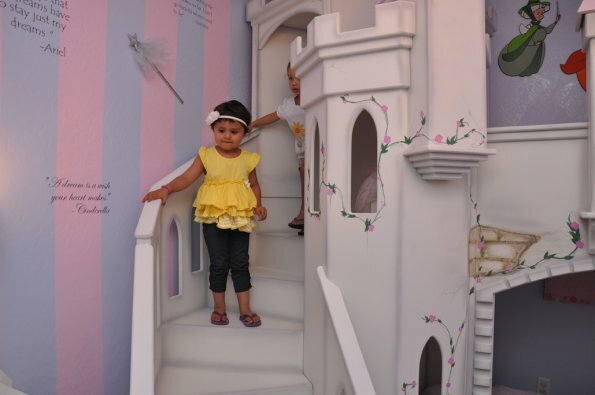 Now, Bella and her little sister will be princesses living in their very own kingdom!